Our schools was last inspected in January 2015. 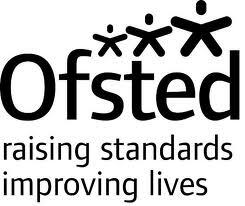 We were assessed as a GOOD SCHOOL. Strong, determined and ambitious leadership by the headteacher and senior leaders is raising pupils’ achievement effectively. The behaviour of the pupils is outstanding. Pupils behave exceptionally well at all times. They show care and consideration for each other and a passion for learning. Pupils say they feel safe in school and know how to keep themselves safe in a wide range of situations including when using the internet. Teaching has improved because it is well led and managed and as a result it is typically good throughout the school. Achievement is good. Standards are rising and pupils make good progress from their starting points. Standards in writing have improved and are outstanding in Year 6. The attainment and progress of disadvantaged pupils and those with special educational needs are improving in all subjects. Early years provision is good and children engage enthusiastically in their learning making good progress through their Reception Year. Governors have good knowledge of the school’s performance and provide highly effective support and challenge to ensure pupils’ achievement continues to improve. A major strength of the school is its purposeful and calm working atmosphere. This promotes pupils’ spiritual, moral, social and cultural development very effectively and in turn contributes extremely well to pupils’ excellent attitudes to learning. Pupils take a great pride in their school. Good care and guidance is provided for pupils’ wellbeing. Parents value and strongly support the school.